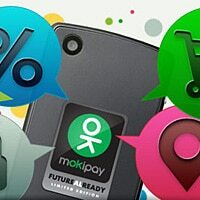 The mobile network operator is using a system developed by Mokipay Europe that works with both NFC phones and contactless stickers linked to subscribers’ SIM cards to enable transaction notifications to be received on customers’ phones. Lithuanian mobile network operator Omnitel has launched a national NFC payments service, designed to be up and running in time for the European Men’s Basketball Championship competition that will be hosted in Lithuania from 31 August to 18 September. Local and overseas fans attending the championship, also known as EuroBasket 2011, will be able to try out the new Mokipay service developed by Lithuanian company Mokipay Europe. The mobile payment service is launching across the country from 1 August. Initially, the service will be made available to Omnitel’s subscribers and users of the Omnitel Extra prepaid calls service. Mokipay is already functioning in many cafés, clubs and restaurants in the towns of Vilnius and Kaunas. Before the start of EuroBasket 2011, Mokipay and Omnitel intend to have at least 2,000 payment terminals installed throughout Lithuania. During the championship special Mokipay packages will be offered to overseas visitors. Markas Zbarskis, founder of Mokipay Europe, said: “Lithuania has all the facilities to be an international leader in the area of mobile payments. This has been proven by our capability to install the service before NFC appears in London for the 2012 Olympics. “We’ve launched a unique solution allowing payment authorisation for unlimited amounts. This system is a more convenient way to pay than payment by a credit card or cash,” continued Zbarskis. As very few NFC-enabled mobile handsets are currently available to end users in Lithuania, Mokipay has based its offering on stickers containing NFC chips, which can be attached to mobile phones to enable the service. After registering the sticker in the Mokipay system, it is linked to the user’s SIM card and payments can start taking place. To make payment settlements a Mokipay account is used, which can be topped up by a bank transfer or with a card. This account is not related to the mobile phone account. In the future, better integration of the service to banking systems is planned to make payment settlements and money transfers more convenient. After reading WPKI, I was taken back by the inclusion of a mobile operator in the process. I’m really struggling to grasp the concept of NFC solution providers “forcing” telcos to be in the NFC picture and solution workflow. Banks and mobile operators are being thrown into the NFC picture when they are not necessary. We can use prepaid store-valued solutions and wifi/4g based mobile devices that require no banks of mobile operators to complete NFC transactions. I just want to save future NFC solution providers some time and money because the we already seen how little to no progress is made with banks and telcos in the picture and there is another thing called the Sherman Act that definately comes to mind when mobile operators and banks try to squeeze out solutions that do not require their involvement.